The Upper East Side has long been the bastion of the wealthy and famous. With its bespoke buildings, access to the finest shops in the world, privacy galore and exquisite taste, it is the location favored by old money and those that wish to emulate them. With Central Park in close proximity and dining destinations that don’t disappoint it is an area that will ever go out of style. It also happens to be the area that Resident calls home. This an exquisitely designed 14-story condominium offering buyers seven finely crafted full-floor residences, including a three-level penthouse and duplex maisonette. 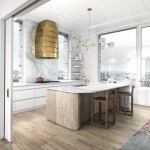 Developed by Anbau and exclusively represented by Corcoran Sunshine Marketing Group, 155 East 79th Street features gracious homes that offer the privacy and space of a townhouse, but the full-service offerings of a high-end condominium. 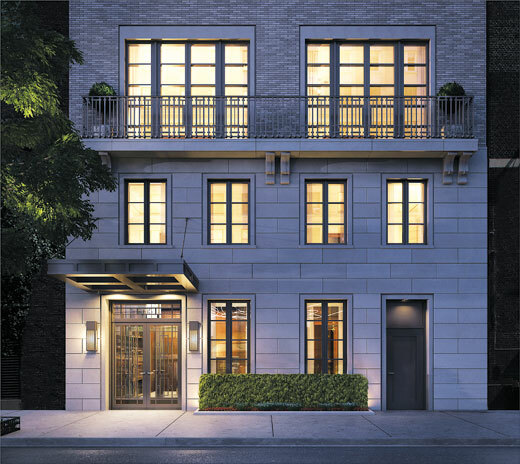 155 East 79th Street is designed by a highly experienced and acclaimed team, with stunning interiors by tastemaker Andrew Sheinman of Pembrooke & Ives. The property offers five duplex homes with 5 bedrooms, 5.5 baths and private balconies. Additionally, the penthouse includes 5 bedrooms, 5.5 bathrooms and private landscaped terrace, while the maisonette offers 4 bedrooms, 4.5 bathrooms and private garden. All homes feature direct elevator entry, wood-burning fireplaces, grand foyers with custom marble flooring and exceptional lighting design that creates a luminous quality in areas such as the dining room, kitchen and powder room. Prices range from approximately $8.95 to $18 million. www.155east79.com. 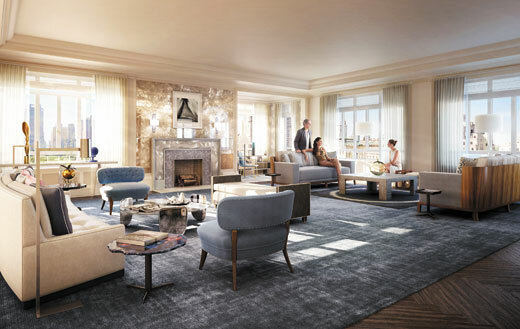 Located at 21 East 61st Street alongside the Upper East Side’s most exclusive and chic shopping, dining and cultural destinations, The Carlton House is the neighborhood’s most elegant new residence. 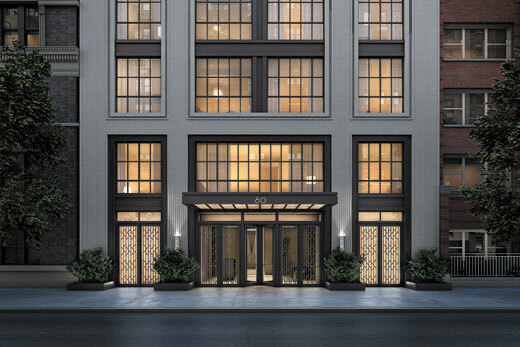 Residents at The Carlton House have access to a 24/7 doorman and concierge as well as a VIP partnership with Barneys New York that allows for in-home tailoring, special event access and delivery from Fred’s, the store’s famed restaurants. 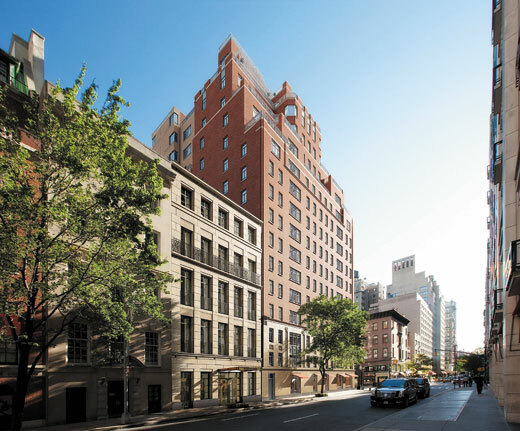 The building is over 60% sold, but still has some incredible residences available, including a $65M duplex penthouse with incredible terraces overlooking Central Park, as well as a 35-foot wide townhouse that is completely customizable, also listed for $65M. TheCarltonHouse.com. 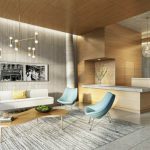 The address is a distinctive new condominium offering 15 exquisite full-floor residences designed by the internationally renowned Thomas Juul-Hansen. 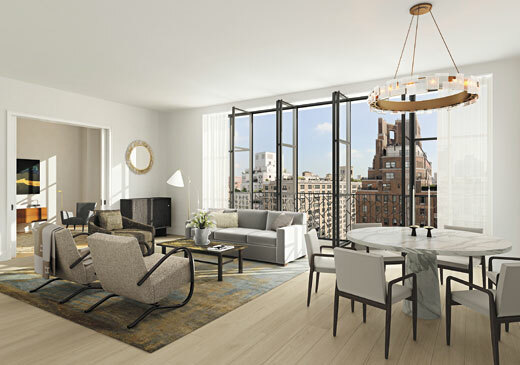 Presented by the principals of Glenwood, Sixty East Eighty Sixth is one of the very few new construction offerings on the Upper East Side and brings a fresh, sophisticated design to the market. Each of the full floor residences embodies pure luxury with an emphasis on clean lines, grand proportions and an abundance of light. The property features three and four bedroom residences, including three unique multi-level homes: the triplex townhouse, tenth floor duplex and triplex penthouse. Residences feature ceilings heights of approximately 10 feet, direct elevator entry and oversized casement-style windows, with many homes offering eat-in kitchens. 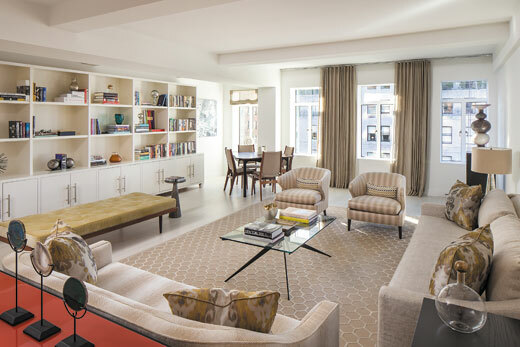 Select residences feature wood-burning fireplaces with gas starter, double-height living rooms of up to approximately 20 feet, Juliet balconies and windowed architectural stairs. 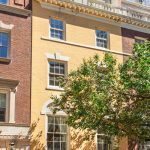 Pricing starts at approximately $7.05 million for a three-bedroom home, up to approximately $20 million for the triplex penthouse. 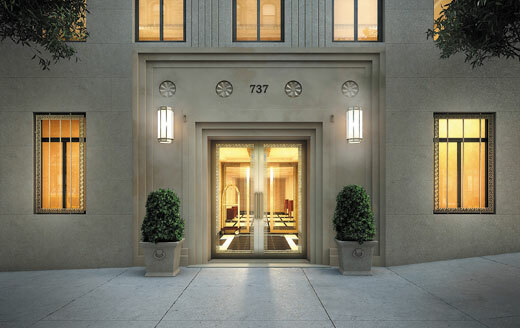 Located along Manhattan’s premier residential corridor, 737 Park Avenue offers contemporary luxury living on Park Avenue. Built in 1940 by notable architect Sylvan Bien, 737 Park Avenue features an Art Deco motif and sits on the northeast corner of 71st Street. 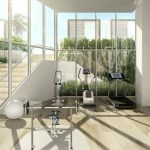 The building has been transformed into a modern luxury condominium that offers approximately 60 gracious private residences, many with private elevator landings and separate service entrances. Legacy apartments within 737 Park Avenue are designed with graceful layouts that range from 3,000 to 6,000 square feet, with each residence offering nine to thirteen well-proportioned rooms. In addition to their grand size, residences are designed for today’s contemporary living standards and feature large living and dining rooms, spacious eat-in kitchens, solid oak flooring and new casement windows throughout. The building has begun to welcome residents and currently has various residences available for sale ranging from $4.95M to $27M. 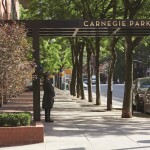 www.737parkavenuenyc.com. The Upper East Side is home to the Park Avenue Armory. Part palace, part industrial shed, Park Avenue Armory fills a critical void in the cultural ecology of New York by enabling artists to create — and audiences to experience — unconventional work that cannot be mounted in traditional performance halls and museums. With its soaring 55,000-square-foot Wade Thompson Drill Hall – reminiscent of 19th-century European train stations—and array of exuberant period rooms, the Armory offers a new platform for creativity across all art forms.